Although the earliest information on the existence of the winery as a going concern is to be found in 1779, earlier documents from the Archives of the Protocols of Notaries of Tudela give evidence that the family existed en 1647. At the present time, the four brothers run the firm. Julián and Mercedes are responsible for commercial affairs and export; Carlos is in charge of the winery finances and Fernando of producción. The Chivite family have crated their own personal map of the world of Navarra wine, creating a magnificent seam of quality wine from the vineyards of Estella-Cintruénigo, which incorporates the character and the differences of the vines from the north and south of the region. The sum total of the Atlantic nature of arínzano vineyards near Estella, together with then Mediterranean nature of the vineyards of Cintruénigo, Corella and Marcilla go to define the character of Chivite´s wine. The family controls more than four hundred hectares of vineyards. The estate of the Señorío de arínzano, developed from an old 300 hectare family home near Estella, the origin of which goes back to the eleventh century. One hundred and fifty hectares are devoted mainly to the growing of Tempranillo, which accounts for sixty per cent of the total, and the rest, Cabernet Sauvignon, Chardonnay and Merlot, is divided half and half, with clones suitable for the estate´s microclimate. The grapes are carefully transported to the Cintruénigo production and caskageing plant. To the future estate winery, the famous architect, Rafael Moneo has soaked himself in the history, which oozes from the Cabo de Armería Palace, in preparation for the process of restoring its magnificent fourteen-century tower and the neoclassical church between which the next bodega will be built. 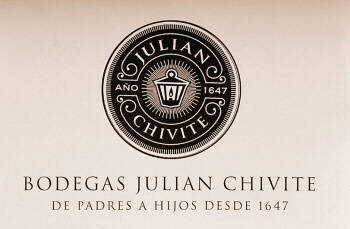 Looking back to their centuries-old origins as farmers and local wine merchants, and including that of wine producers last century and this, the Chivite family faces the next century as the owners of a viticulture and winemaking concern of high quality and with a long experience in the markets. 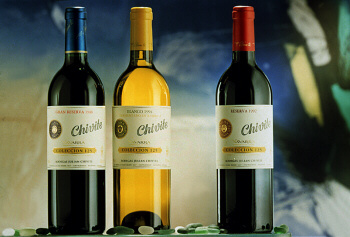 Chivite in one of the oldest exporting firms in Spain, exporting since 1860.